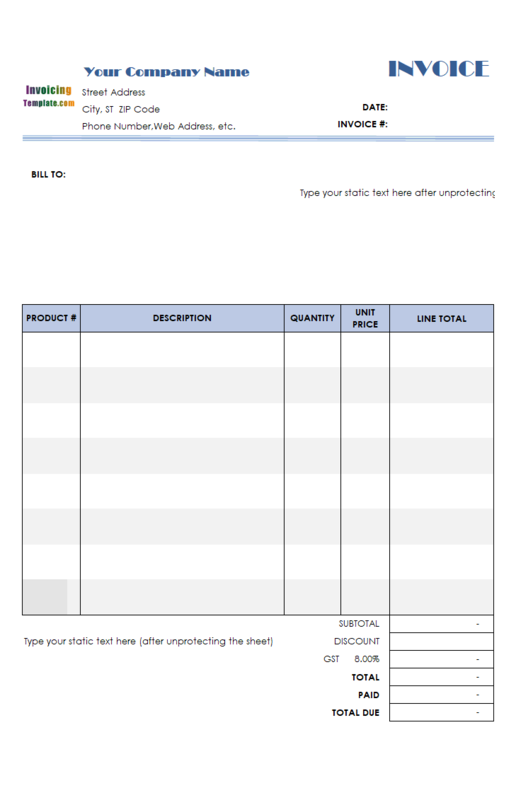 This template includes a Discount field in the bottom of the form, allowing you to specify the discount in amount. 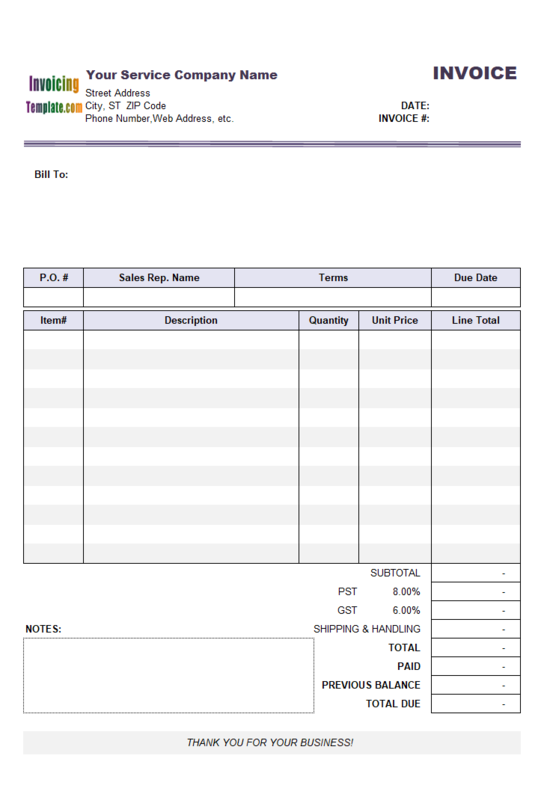 The service invoice template includes no shipping field. 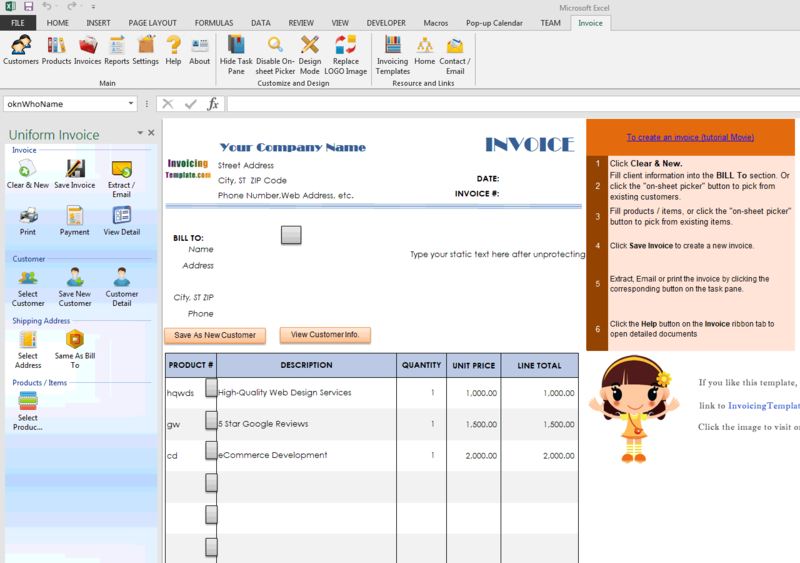 c5011 now includes the customized invoice template for the latest version of Invoice Manager for Excel. 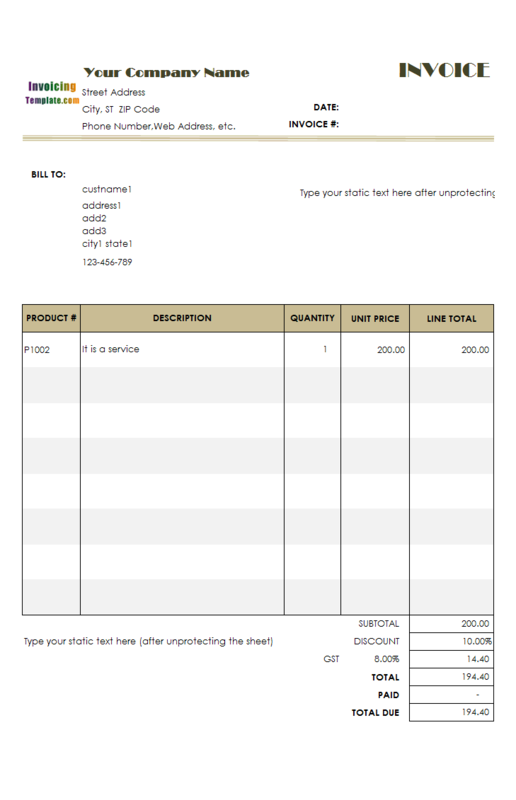 This is what you will see when you open service-invoice-form-discount-amount.xlsx. 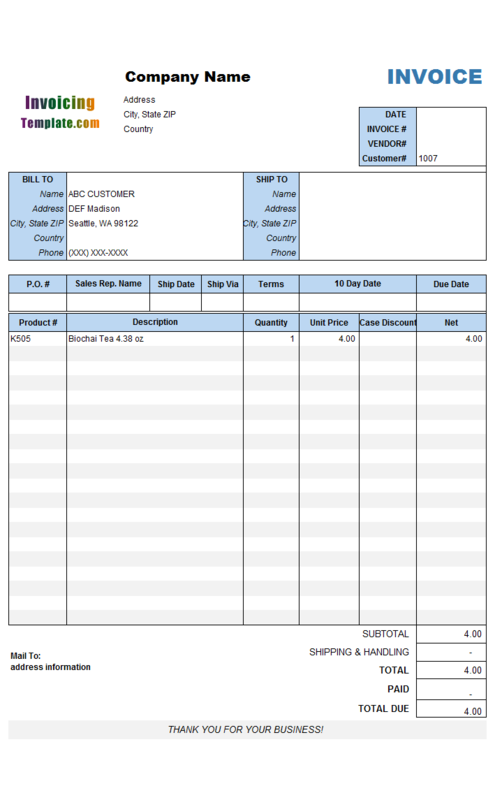 If you have Invoice Manager for Excel (namely Uniform Invoice Software) installed, you may notice that the Discount field is added to both the Customer and Invoice Header database table. This means that, the discount can be saved into a client's account, and when you are making a billing invoice, The discount value is loaded / filled automatically along with the other customer information, such as customer name, address, city state and zip, country and email addresses etc. 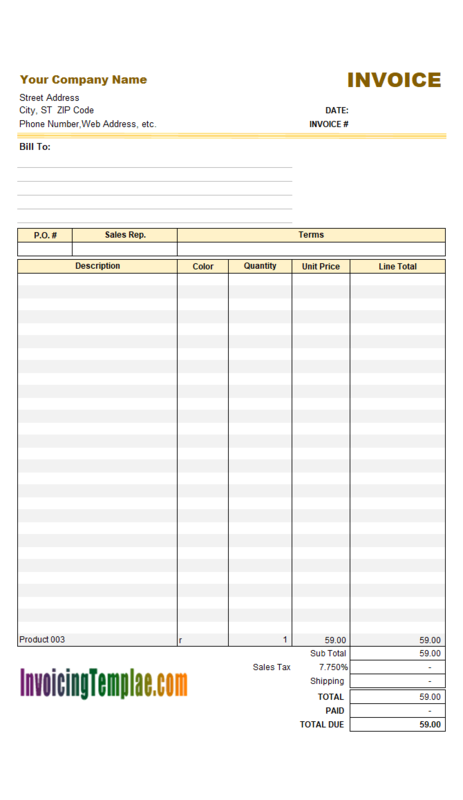 The form then uses formulas to calculate subtotal, taxes, total, total due. 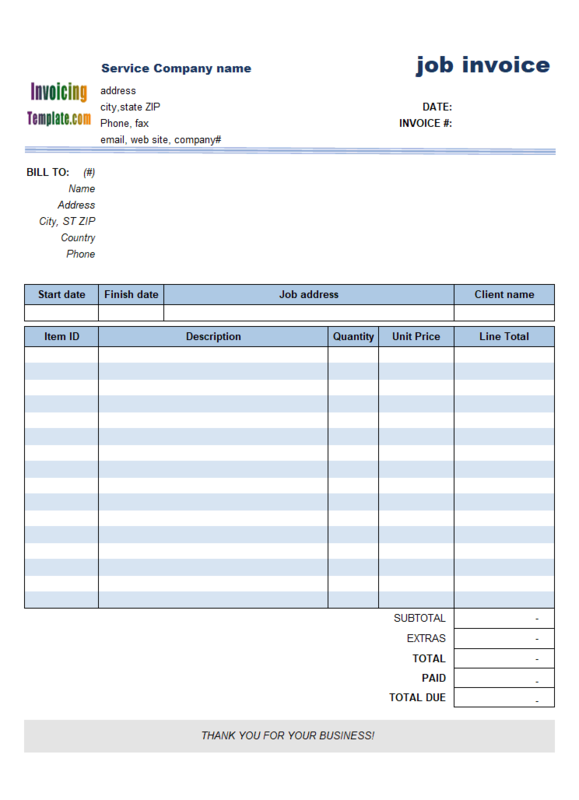 If you use the freeware version of this Service Invoice Form with Discount Amount template, won't benefit from connecting with a database because that should be done by Invoice Manager for Excel (namely Uniform Invoice Software). 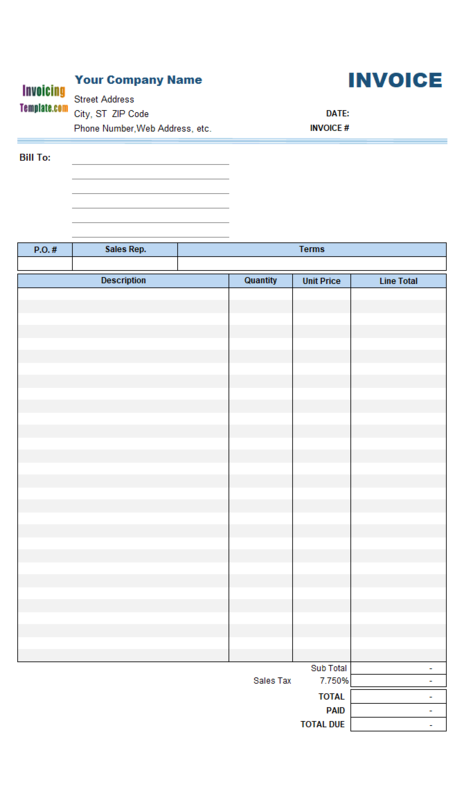 Just like a general sales invoice template, this service invoice template includes required fields on the form, including your logo, company name, date of order, buyer's name, description of product, amount due, taxes and anything else you specifically need for your company. 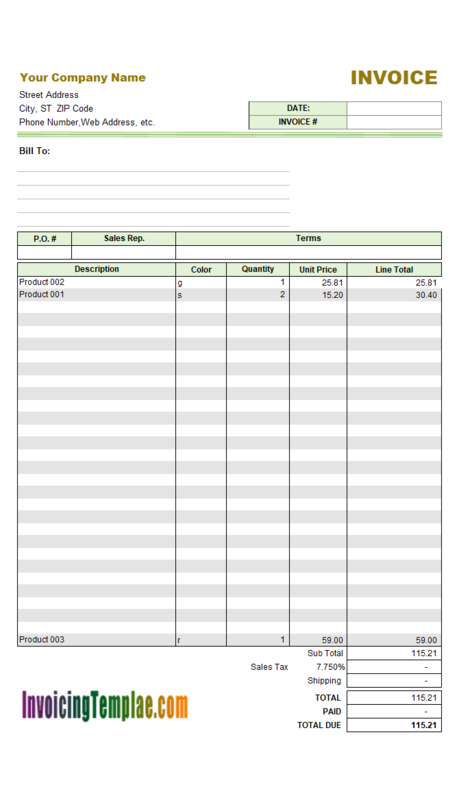 However, since this is a service invoice template, we moved out all the fields that are defined for providing shipping information. 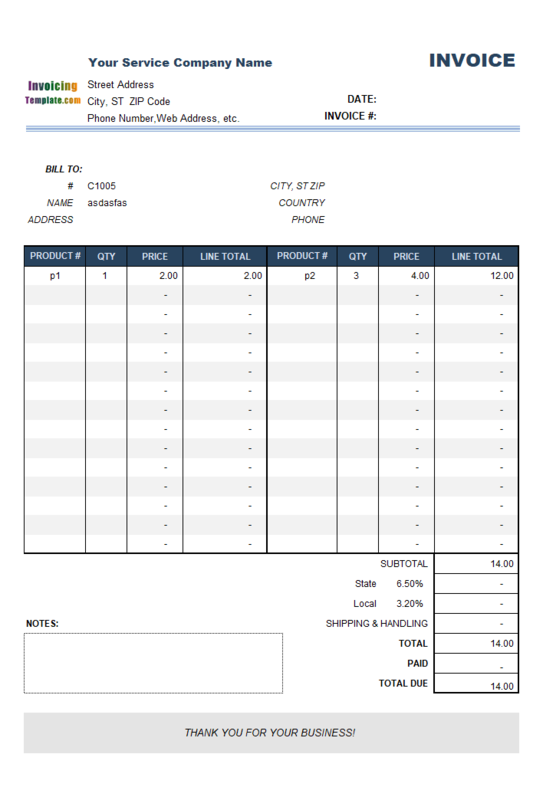 If you would like a version that includes the shipping fields on the printable invoice, see Sales Invoice Form with Discount Amount here on InvoicingTemplate.com. 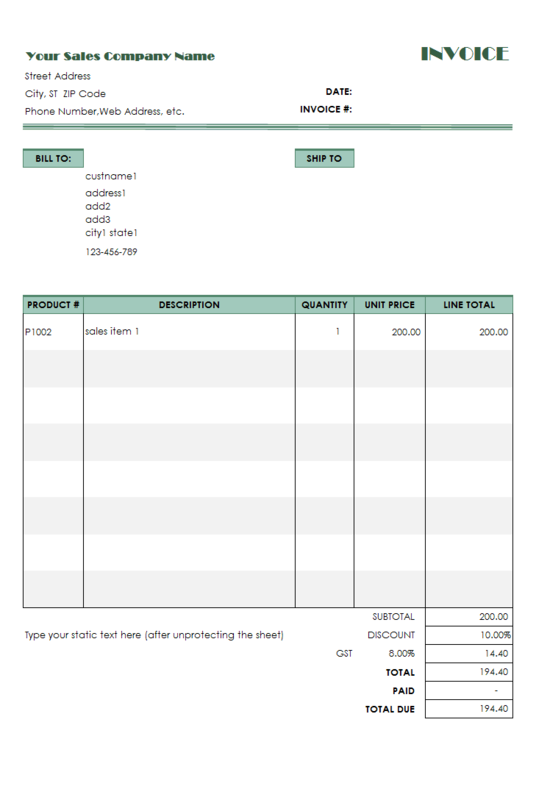 The discount value in this invoice template is an amount value. Some businesses may like a percentage discount value that could be saved along with client details. 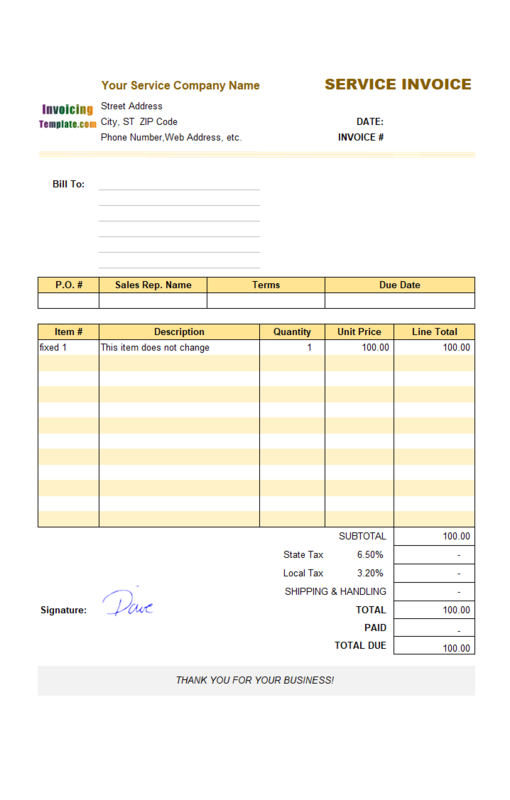 You can find these variants on InvoicingTemplate.com too - Service Invoice Form with Discount Percentage, this is the service invoice template that uses percentage discount value; and Sales Invoice Form with Discount Percentage, this template uses percentage discount value and includes shipping fields in the printable area. 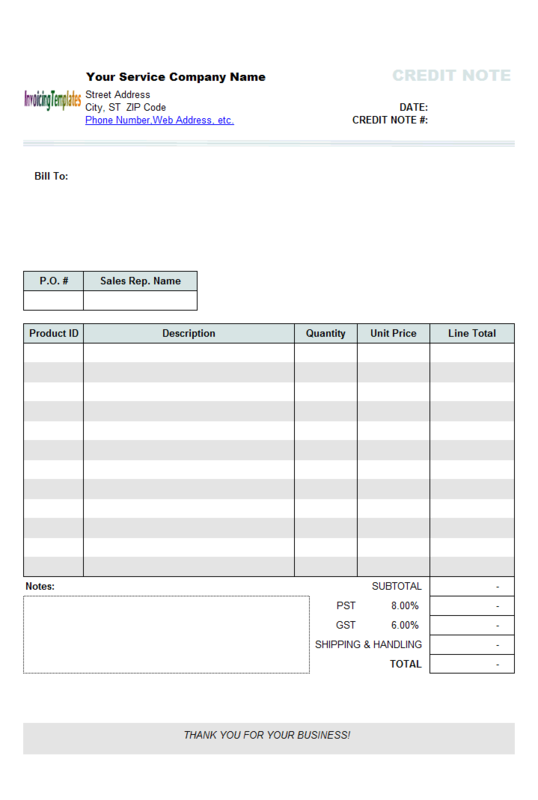 Like other form designs here on InvoicingTemplate.com, Service Invoice Template - Discount Amount is free (offered to you at a price of 0.00USD). It works on Windows XP and all newer versions of Windows, and Excel 2007, 2010, 2013 or 2016. 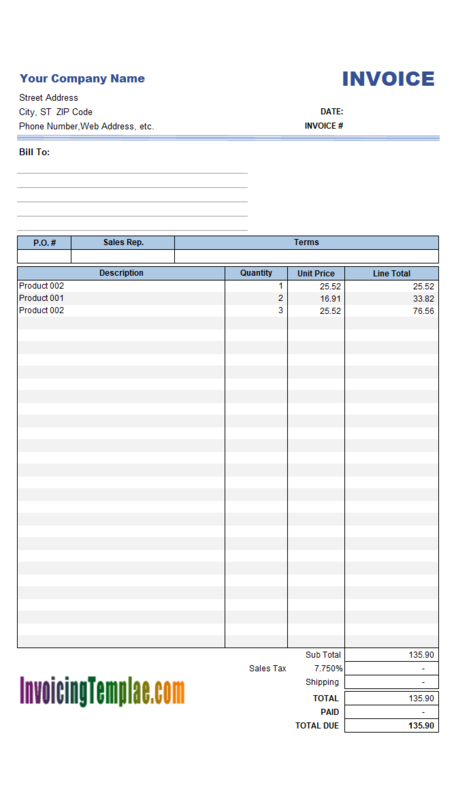 Removed hyperlink from the "Phone Number ... " on top of the invoice form. Added the link to the default logo image.